London: Printed for the Author, 1809, 1809. Second edition, with considerable additions. NCBEL III, 387; Wise and Wheeler, Bibliography of W. S. Landor, pages 30-32; Partridge, Robert Eyres Landor, His Life and Work, pages 32-35. Some light stains and minor foxing; margins a little narrow; very good copy. Uncommon.. 12mo, recent half brown calf, contemporary marbled paper boards, red morocco label, gilt rules and lettering. 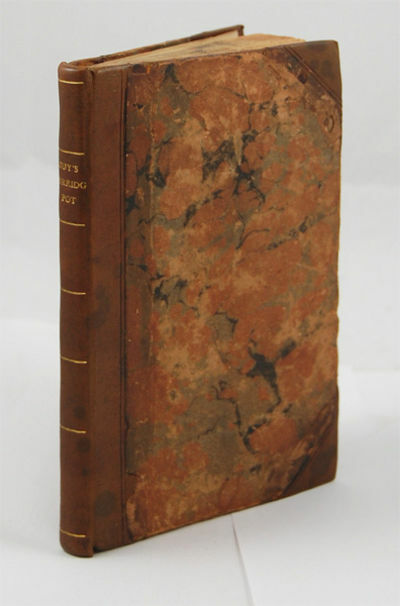 An anonymously published literary and political poetical lampoon on the influential Samuel Parr and his circle, attributed to Robert Eyres Landor (1781-1869), the younger brother of Walter Savage Landor. The first edition was published a year earlier, and this second edition is expanded by Landor's response to an attack on the first edition in the form of a poetical satire entitled "The Dun Cow" - which was anonymously written by his brother Walter Savage, a friend and admirer of Samuel Parr who found Guy's Porridge Pot offensive. Little did the brothers know that they were at literary loggerheads. Robert Eyres Landor was a talented poet, playwright and novelist (his anonymously published poem The Count Arezzi, 1824, was originally attributed to Byron), but he preferred the quiet life of the country parsonage.